Grade 1 Reading Comprehension Worksheet - Answer Online Or Print For Later! Wombats live only in Australia and are very good diggers. Their homes are found in tunnels under the ground. They come out at night and enjoy eating grasses, roots, and bark. 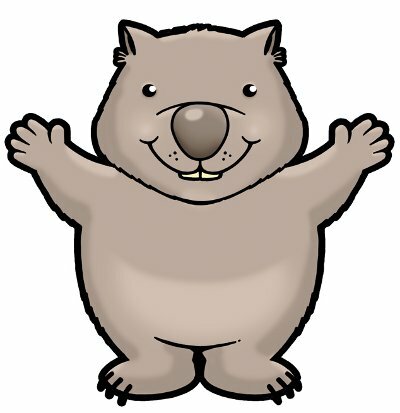 Two kinds of wombats are "bare-nosed" and "hairy-nosed". They carry their young (called "joeys") in pouches. Wombats can live to be over 30 years old. Grade 1 online reading comprehension site for elementary, intermediate, and middle school students. Many free grade 1 reading comprehension worksheets to help improve reading skills in children and ESL (English as a Second Language) students. Take our grade 1 worksheet tests anonymously, or register so you can track your (or a child's) progress via our student/teacher/parent "portal". Generate reports to see how the test-takers are progressing over time. Take and re-take tests to improve grade 1 comprehension skills.